Needing to restore your harmonica? With the Lee Oskar reed plate in the natural minor key of G, it's never been easier. At half the cost of buying a brand new harmonica, Lee Oskar replacement plates offer an easy way to restore your harp. Why throw out your harmonica just because one reed has become fatigued? The simple process of replacing the reed plate only involves three screws and two nuts and bolts - anyone can do it! The original comb and cover plates are recycled into the rebuilt harp - all for your convenience. 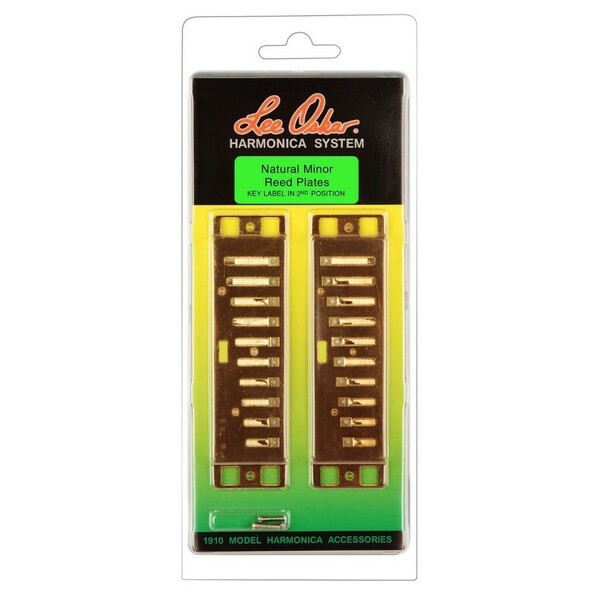 Lee Oskar makes reed replacement plates for all keys of harmonica - all of which can be found here at Gear4music. To view more information about troubleshooting your harmonica, please download the PDF.